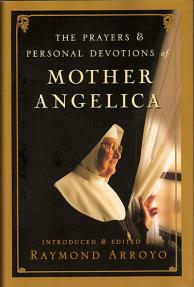 This precious collection gives readers a chance to experience the personal daily spiritual practice of Mother Angelica. Seen by millions each day on the EWTN, the television network she founded, Mother Angelica is one of the most trusted and beloved figures of our time. Her words of wisdom about the spiritual life have been broadcast throughout the world on EWTN and have become New York Times bestselling books. For Mother the act of prayer is an unceasing daily conversation with the Divine-one that has been a source of inspiration and solace for nearly seven decades. Now Mother Angelica shares a lifetime of her private prayers and devotions so that you can experience and utter the very words that have shaped her incredible life. *A complete prayer journal composed during Mother's personal dark night of the soul. *Handwritten meditations offered to her sisters. *Two moving versions of the Stations of the Cross composed for her community. *Devotions and petitions from her early religious life.